While you may be tempted to avoid dealing with a roof repair for worry about the expense, this is an issue that only becomes more costly with time. Fix those leaks and replace missing shingles early to avoid a major hit to your budget. Give Tristate Roofing a chance to provide you with a free roofing repair quote that we think you'll find very affordable. Our team will work hard to get your roof back into tip-top shape again. As an industry leading roofing contractor, Tristate Roofing offers exceptional installation services with many perks. We are CertainTeed 5-Star contractors, IKO ShieldPRO Plus+ contractors, and GAF Master Elite roofing contractors. Our status with these well known manufacturers means that you get access to premium roofing systems with long lasting roofing warranties. You'll also have the peace of mind of knowing that our contractors are specifically trained in the proper installation of these roofing systems. Tristate Roofing also provides superior commercial roofing services by trained, certified professionals. We'll work closely with you to select a roof system that enhances your curb appeal, while also protecting your building. Our high performance roofing systems last a long time and are also energy efficient to save you a bit extra in the long run. 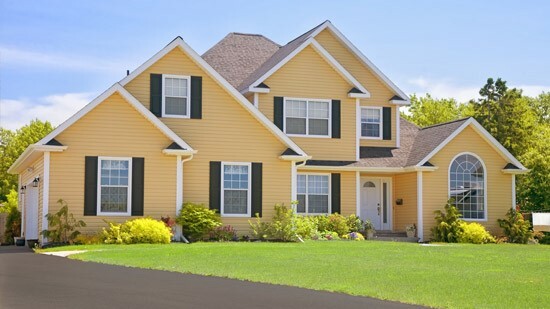 As home exterior remodeling experts, we can also assist you with windows, doors, and gutters. From making quick repairs to complete replacement, our contractors create a finished result that fits in perfectly with the rest of your home exterior. All of our home remodeling options come with exceptional warranties, and are available at competitive rates. Don't just get the roof done. Have us give the rest of the exterior an upgrade. With thousands of completed home exterior remodeling projects under our belt, Tristate Roofing has achieved recognition as a reliable Edmonds roofing company. We go the extra mile to make sure that roofing, window, door, and gutter installations are completed properly so you don't have to worry about future replacements. Give us a call or fill out our online form, if you are interested in receiving a free, no-hassle roofing inspection and quote from our contractors.